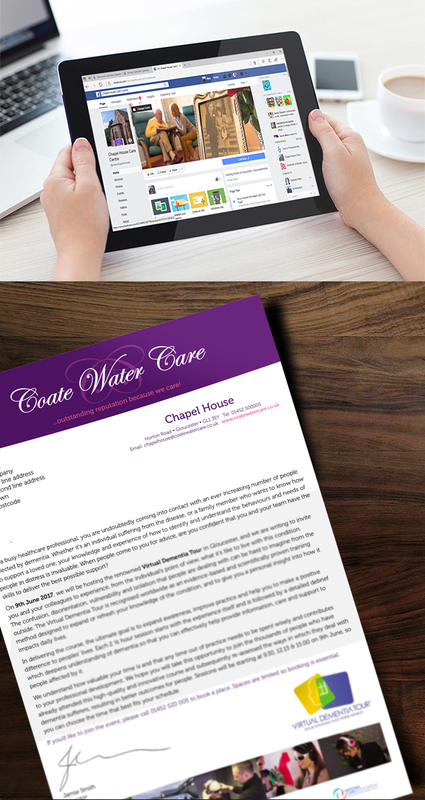 Coate Water Care is a family run care home provider throughout Wiltshire, Warwickshire, Worcestershire and Gloucestershire. One of Coate Water Cares specialisms is dealing with people with Dementia, a condition that affects so many loved ones throughout the UK. Coate Water Care wanted to create awareness around the condition and give people a little understanding of what it is like for people who suffer with the condition on a daily basis. With this in mind Coate Water Care decided to run a Virtual Dementia Tour which would run across 2 days with each day having enough spaces for 36 people. The first day of the event was for the general public and the second day was for healthcare professionals, GPs, Practise Nurses etc. We were tasked with generating leads for the 72 spaces that they had available. Our first point of call was Facebook Lead Generation advertising. Low cost advertising (if done correctly) with a wide audience reach. We first investigated Facebook to ensure this was the right way forward to begin with by looking at the potential reach of the right target audience for the event and quickly came to the conclusion that it was. We created a series of adverts within Facebook and within a week we had already hit 50% of the leads we needed. After 3 weeks of running the campaign we had hit over and above the leads target, it was at this point the campaign was stopped and then we put together an email campaign for all those who registered interest in the event to get them booked on. Facebook advertising wasn’t appropriate for the Professionals day however, so we sourced data to target all GP surgeries in Gloucestershire and sent a personalised invitation letter to every contact, which was then followed up. After sending out the email campaign and the invitation letter, Coate water Care had a full house for both days and the event went extremely well. The Alzheimers Association also attended the event and gave very good feedback about how informative the day was. This was a great project to work on, the more awareness we can generate about these conditions the better the understanding.